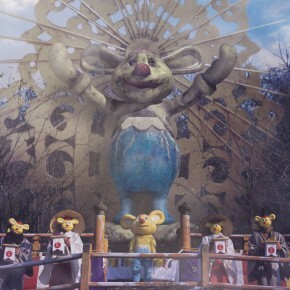 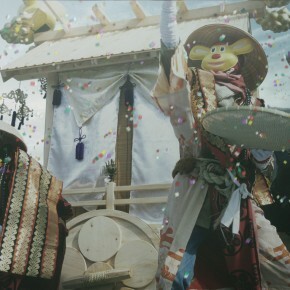 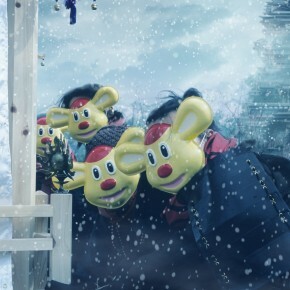 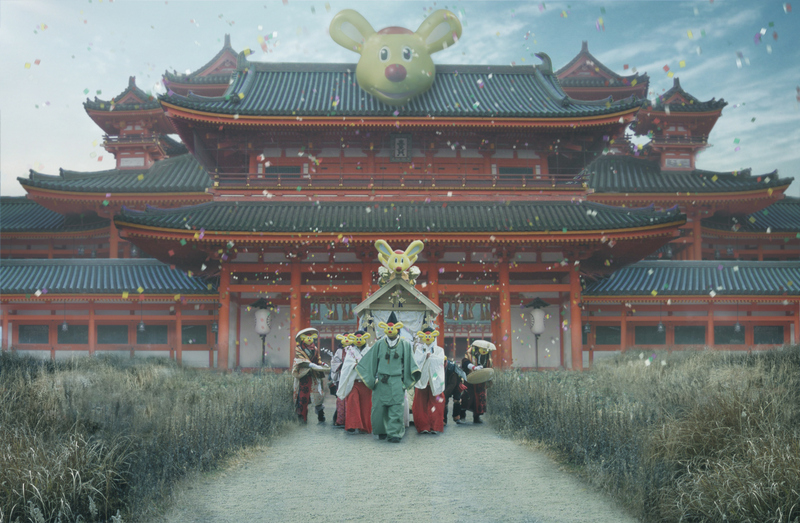 The Advent of Jappy shows cultish acts of worship for a godlike figure called Jappy, which appears in the shape of an oversized stuffed animal that resembles a mouse. 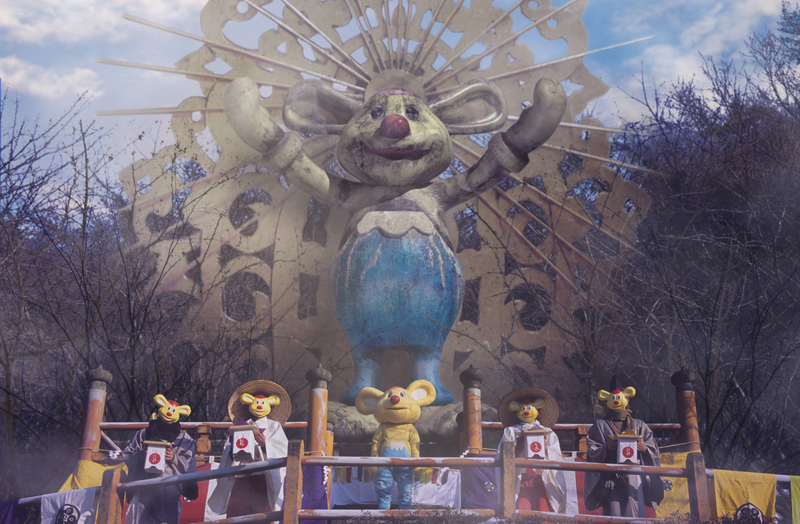 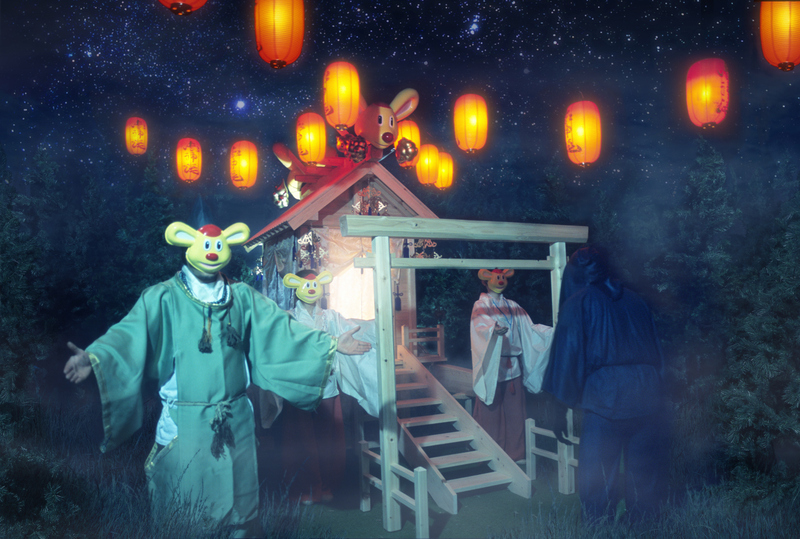 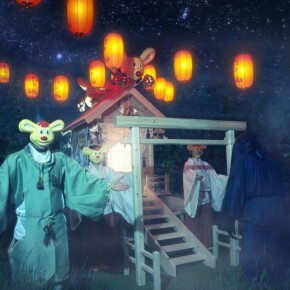 The residents of the park pay homage to these spiritual manifestations by performing various rituals. The story, intended as social criticism, oscillates between custom and illusion. 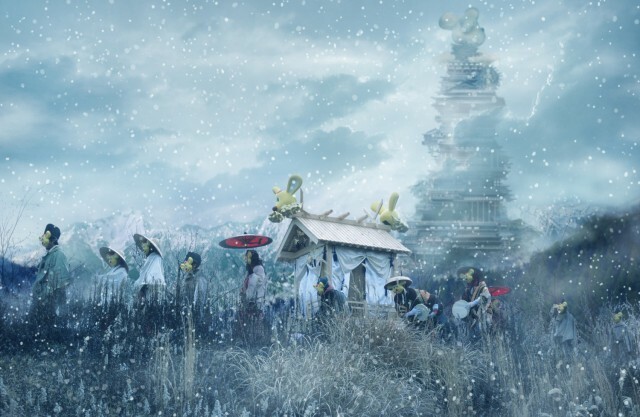 There are indications that it is all artificial, such as the way coloured snow blankets the idyllic landscape of “Yamatopia” and the mythical society that lives there. 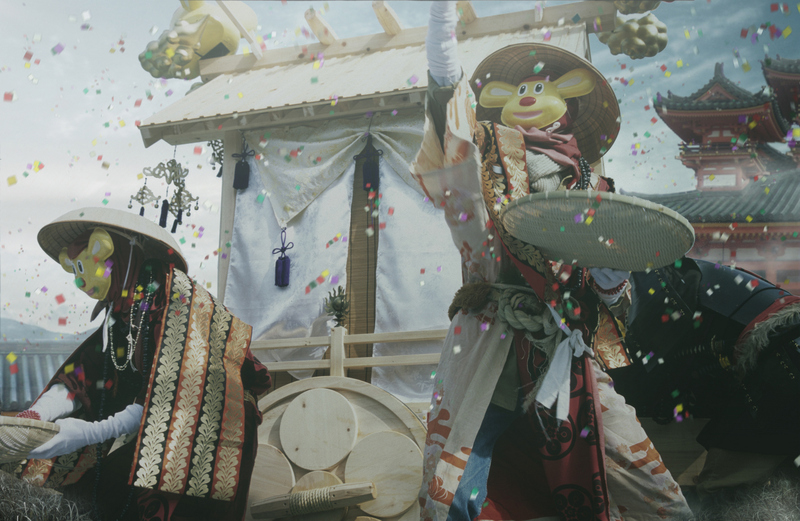 The garish aesthetic gives us a presentiment of what can happen when a traditional mindset meets up with rapid social progress.